Popular Chinese drone maker DJI has joined the Micro Four Thirds System Standard Group, an alliance formed by Olympus and Panasonic to promote the micro four thirds (MFT) mirrorless interchangeable lens digital camera system. Olympus announced the addition of DJI along with two other companies in a recent press release. The decision no doubt means that DJI is interested in beefing up the optical gear on its popular Phantom series of drones. Aerial-based drone photography has really taken off in recent years. 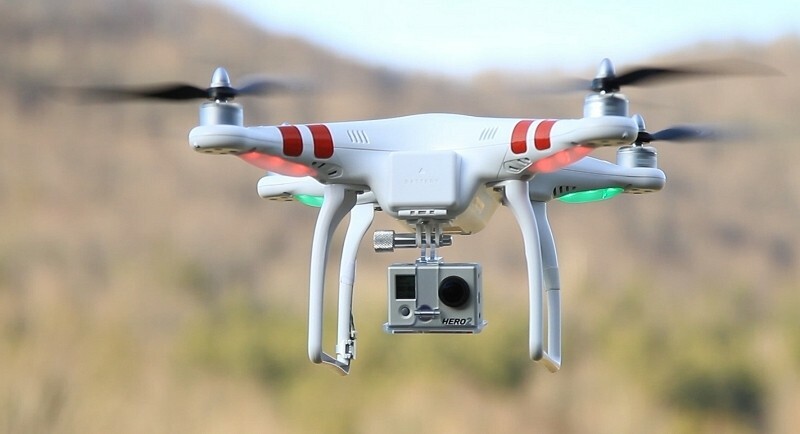 Most drones currently rely on GoPro cameras to capture imagery as they’re extremely lightweight. Only a few models (often the more expensive ones) are capable of carrying a heavy payload like a traditional DSLR. With a MFT system built-in, however, DJI could boast near-DSLR quality images at a fraction of the weight with the ability to swap out lenses for different applications. Olympus and Panasonic formed the MFT group in 2008 and have together built an impressive stable of camera systems and lenses. Many longtime DSLR users (myself included) have made the switch to MFT systems as they’re much lighter and less expensive than traditional full-size interchangeable lens digital cameras. In the hands of a capable photographer, most are unable to determine a difference in image quality versus a DSLR. Olympus said DJI will be introducing products compliant with the MFT system but didn’t elaborate beyond that.